It’s beginning to feel like the holidays extend through February in New England. Most people return to life as usual after New Years, but we continue to get together with friends and family and drink and make delicious food for each other. That’s because we have the Pats. The Divisional Round, the AFC Championship, and the Super Bowl are all individual holidays. The two weeks leading up to the Super Bowl are like a longer version of that confusing period between Christmas and New Years. You do your best to go about your daily life but all anyone really wants to talk or think about is football. Super Bowl Week always provides plenty of fodder, and a few days in we’ve had no shortage of fan enthusiasm, trash talk, Gronk, and even a couple Belichick smiles. Jason McCourty on his brother Devin's retirement rumors. Nickell Robey-Coleman said some things about Tom Brady that he’ll probably regret. Tom’s dad fired back. 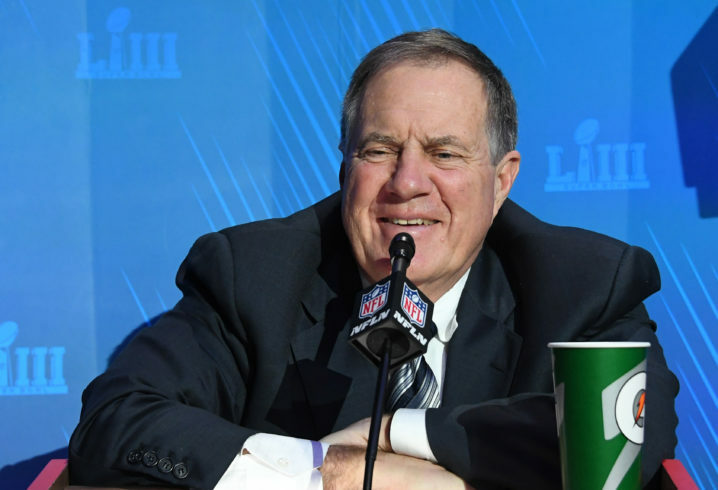 Looks like Bill Belichick was the inspiration for some of the Super Bowl LIII Opening Night gear players will be wearing. New article and podcast coming on Friday with preview and predictions. Hint: the Pats are gonna win.